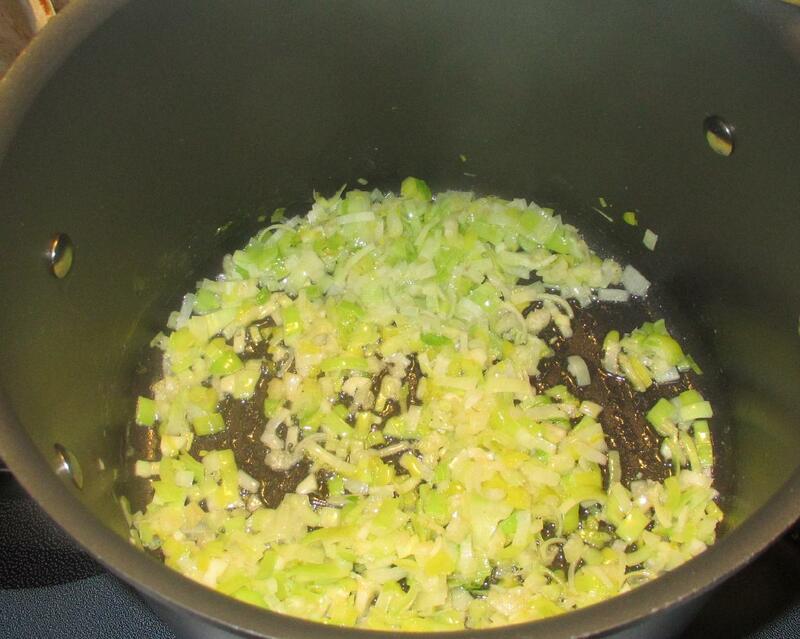 Melt the butter in a saucepan over moderate heat, add the leek, celery and garlic along with the pinch of salt and sauté until softened. 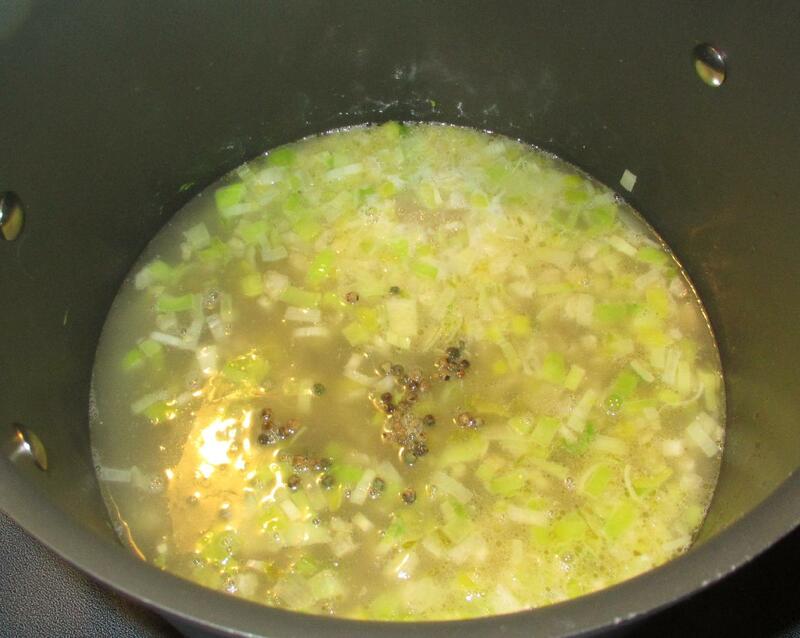 Add 2 cups of the stock and the peppercorns and simmer, covered, for about an hour until the vegetables are really soft. Puree the soup using a food processor or hand blender and then pass the result through a wire strainer, discarding any solids. You can omit this step if you like but it does make for a smoother finished product. You should, however, pick out the peppercorns if not doing so. Add the remaining stock and the potatoes and continue to simmer for about 45 minutes or so until the potatoes are very soft and falling apart. Puree again and then add the cream. 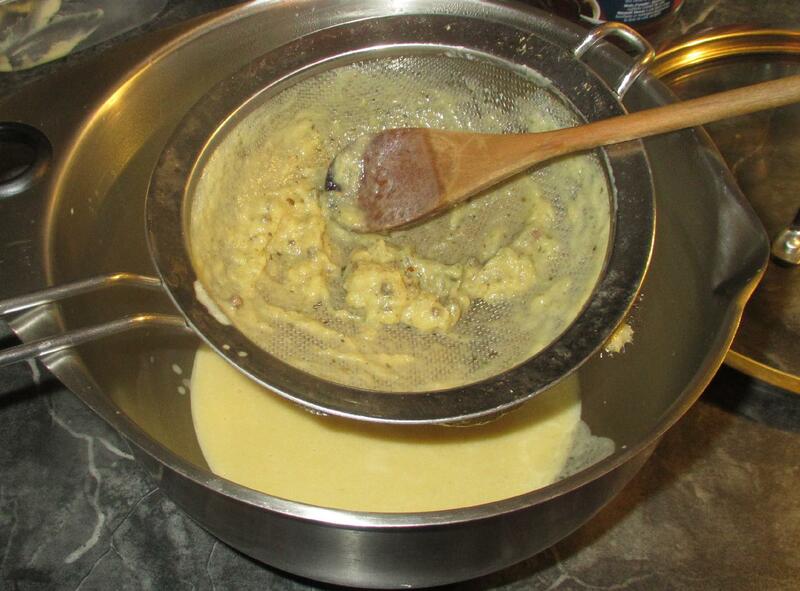 Simmer very gently for a further 15 or 20 minutes to take off the raw taste of the cream. 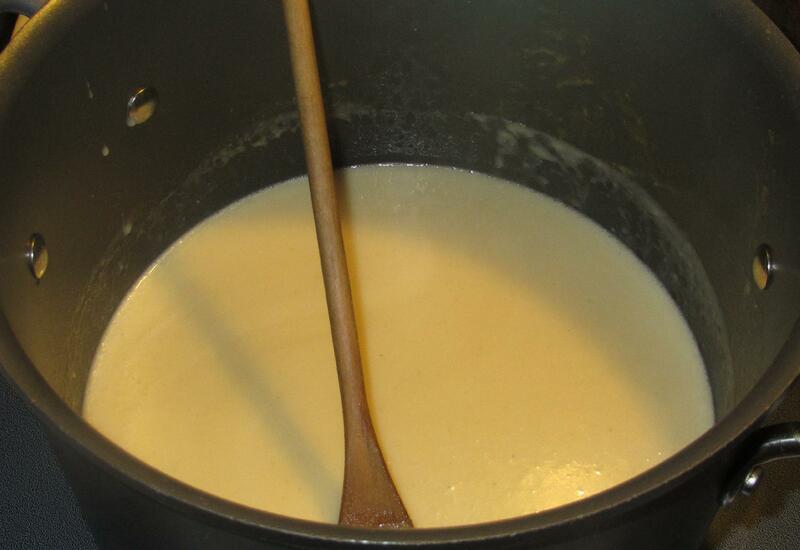 Make sure you do not boil after the cream has been added and, when done, taste and adjust for salt. You can serve at this point, or you can chill (eating it cold, if you like) or chill and later re-heat for service (again being sure not to boil). The latter case is highly recommended as it improves the flavor during the process. John, thank you for the culinary stimulation, once again! ;). 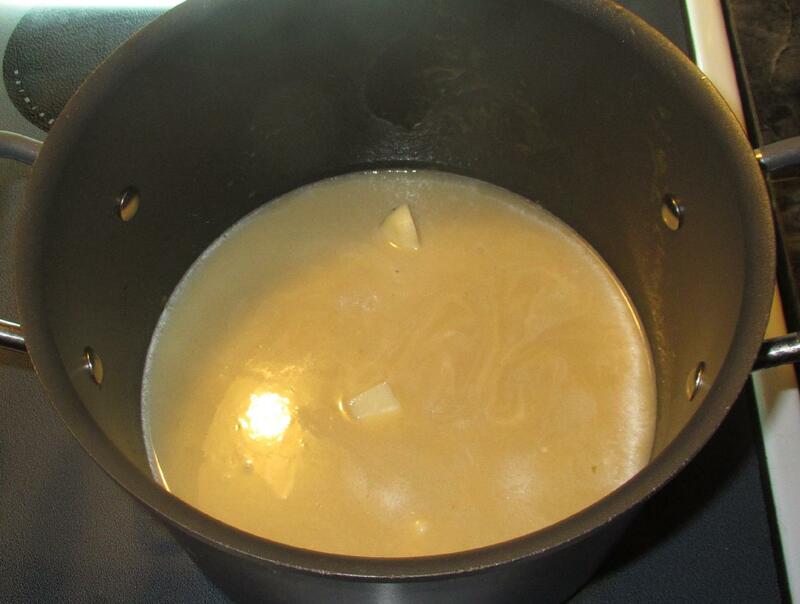 I do not know what type of potatoes you are fond of for this soup, so I will use Yukon Golds. Here is a tip that I can humbly offer: after chopping your leeks, save the root/crown and replant them this spring! 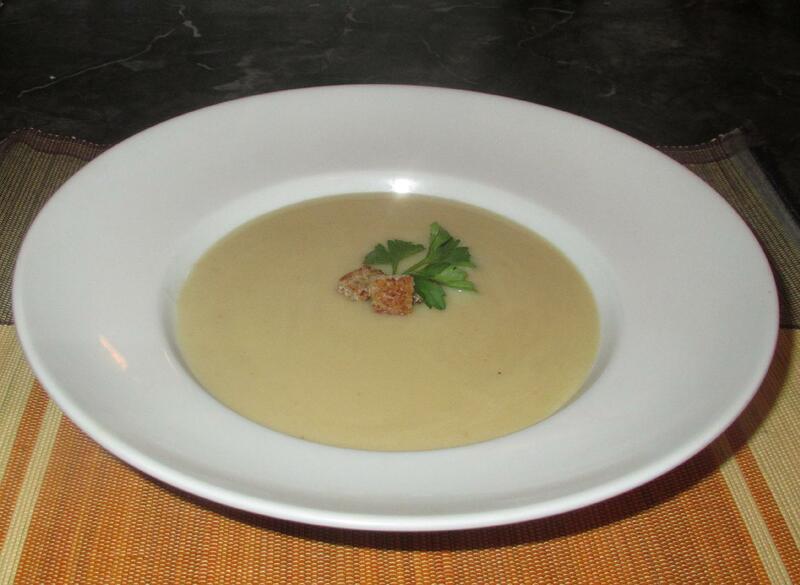 From autumn > spring potage parmentier has always been a favourite and cooked as oft as the cold version . . .:) ! I much prefer it piping hot! As long a summer season as we have here my preferences go the other way – also as a dinner party first course methinks the cold somehow seems to be more ‘festive’ . . . horses for courses . . . 🙂 !